My youngest is not great at eating vegetables, he can find the smallest cut up piece of carrot with an eagle eye and quickly rejects anything I have tried to smuggle veggies into. 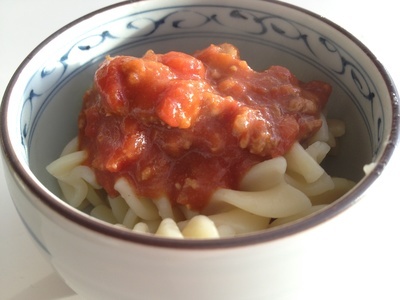 In a desperate attempt to get more vegetables into his diet, I have the ultimate and simple hidden vegetable Bolognese. 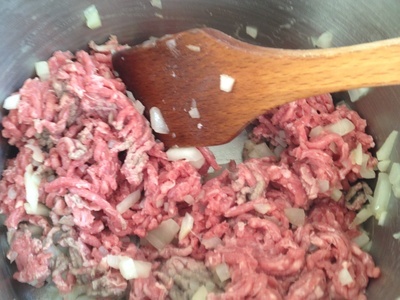 Bolognese is perfect for freezing so I always make up a large batch and freeze handy sized portions. 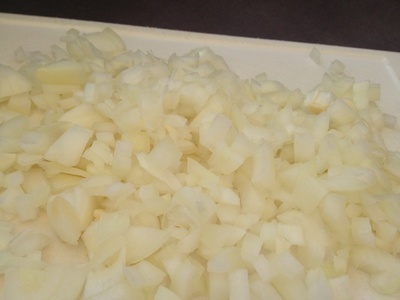 Dice the onion finely so when it cooks it will almost melt into the sauce. Fry gently in a little oil until soft. Add the flour and let cook through. It's not essential but soaks up any fat and gives the sauce a richer and thicker consistency. 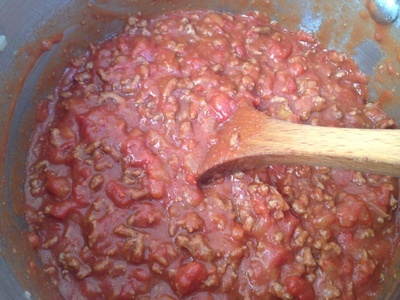 Add the tinned tomatoes and tomato paste, mix well and leave to simmer. 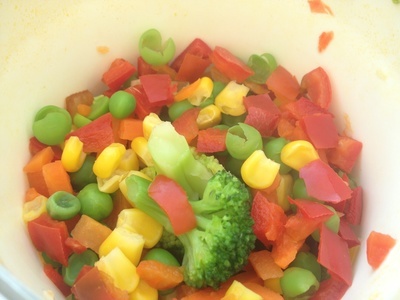 Meanwhile, either chop the vegetables finely or use a bag of mixed frozen veg. I zap mine in the microwave for about 3-4 minutes until cooked through. 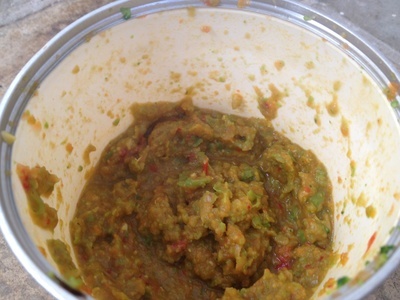 Blend the vegetables to a paste (a little like thick baby food). 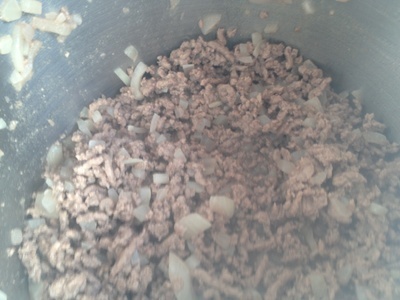 Add the vegetable paste to the Bolognese sauce and mix through. The vegetables will be well hidden and if you use a varied mix you can get lots of different vitamins packed into this meal. Serve with your choice of pasta or use in a lasagne.